Cut from the side of the plate to about 2 inches from the middle. Repeat on the other side. Cut more slits around the top half of the plate. The younger the child, the less slits you want, but you should make an odd number of cuts to end up with an even number of segments. I have done 9 so we have 8 segments. 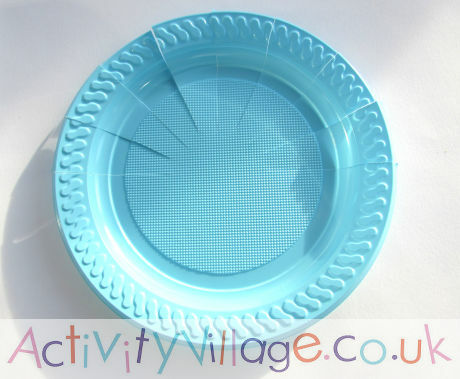 Tape the first piece of wool on to the uncut half of the plate and weave in and out of the segments. 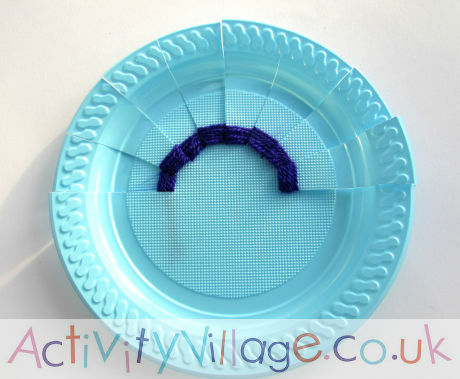 Tape loose ends to the plate when you have finished and start your next colour. 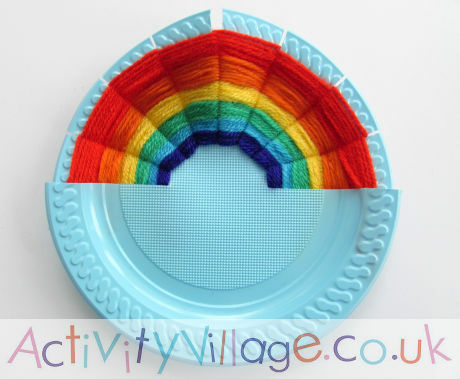 To finish and display the rainbow, you might want to cut along the bottom edge, leaving a 1-2cm border.